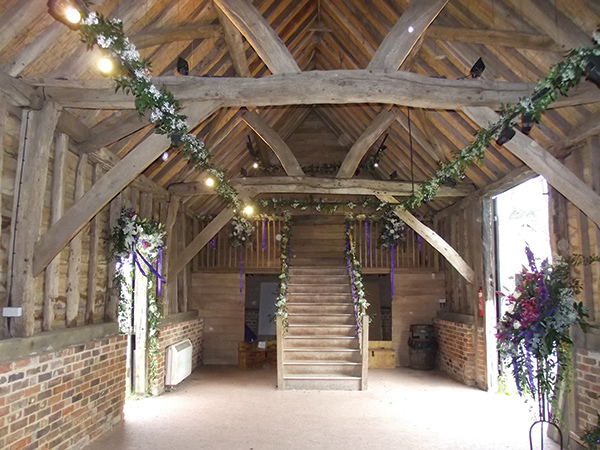 We have two barn wedding venues available for wedding receptions: Northolt Barn and Skippings Barn. 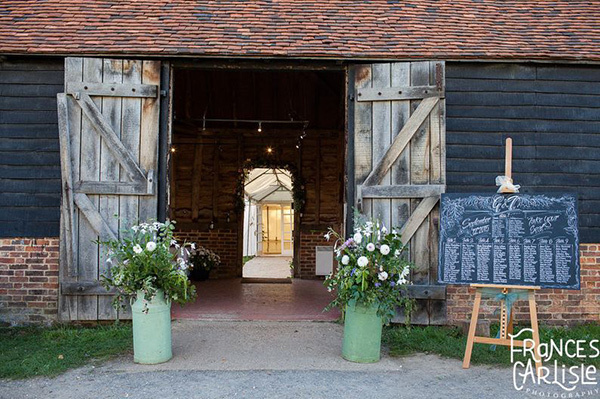 Skippings Barn, Northolt Barn and our Arborfield Barn are licensed for civil ceremonies. 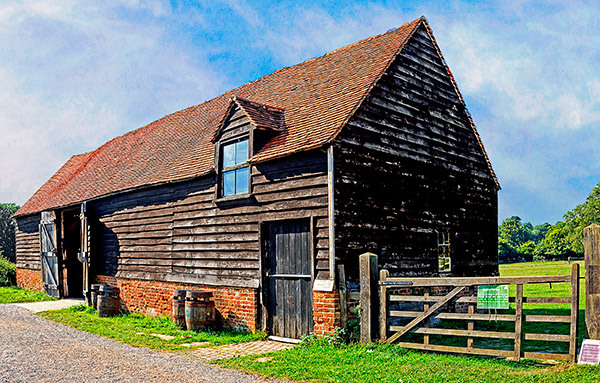 The barns form part of the Museum’s collection of rescued historic buildings. 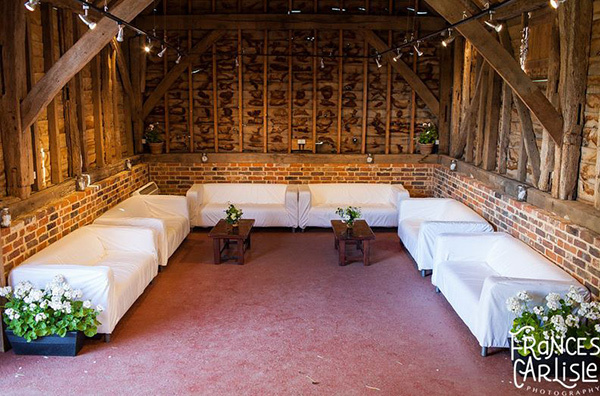 Each barn can be hired separately, or as part of a combined package to increase capacity and spread your wedding across more of our beautiful site. 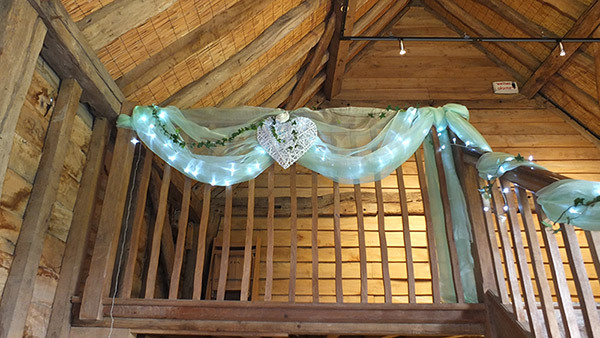 Our Skippings Barn is licensed for wedding ceremonies and looks amazing when decorated for a wedding or private function. It makes a great venue for a unique, quirky wedding or celebration and our friendly and dedicated Weddings and Events Team will ensure that your day at the Museum is a success. 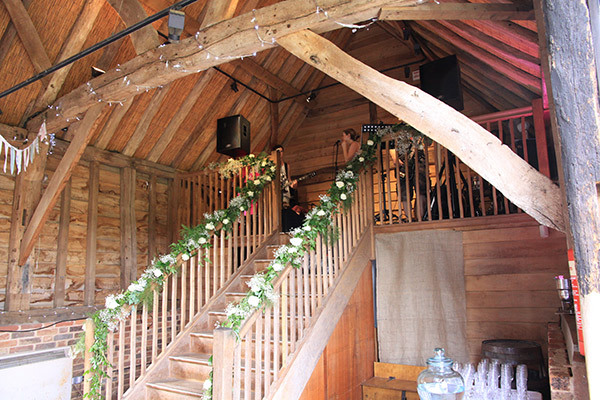 Located next to the Museum’s Village Green, Skippings Barn has beautiful, rustic oak beams and a wide staircase that leads to a stunning minstrels’ gallery, ideal for a live band or D.J. to entertain your guests. 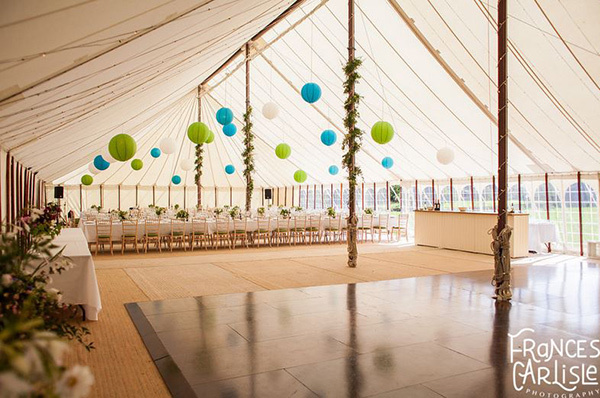 Barn doors open to the field behind which can be used to erect a large marquee if desired. The barn can seat up to 58 people for a ceremony. You can party until 11.30 pm but we ask that all visitors have left the site by midnight. The venue is available on a dry hire basis only. 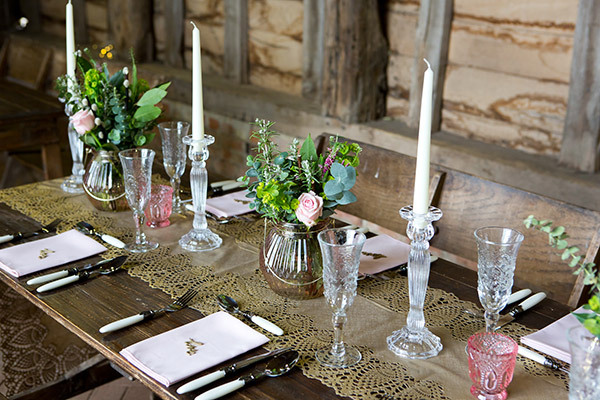 We are happy to recommend some fantastic suppliers who are familiar with working at the Museum and who we trust to take care of you on your special day, however, wedding couples are welcome to bring in their own suppliers if they would prefer. External suppliers do need to have public liability insurance and will need to complete a risk assessment. We do not charge a corkage fee. *There is a small additional security fee for weddings operating a free or bring your own bar. If desired, you can hire a marquee or put up a gazebo that can stand in an enclosed field directly backing onto Skippings Barn.